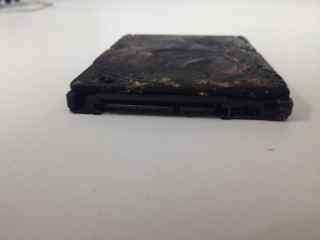 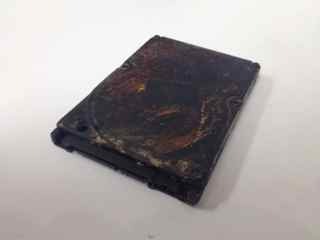 This hard drive was in a car fire. 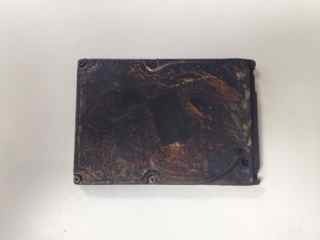 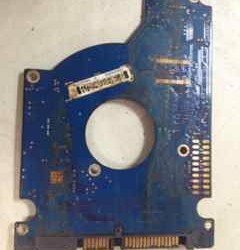 In May 2017, we received this completely burnt Apple MacBook Pro. 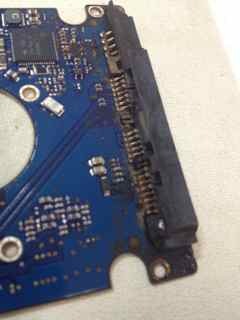 According to our customer, it suffered from being in a car that was on fire. 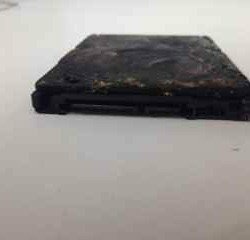 The condition was so bad that the top cover, bottom cover, and inside keyboard and display, were all completely charred. 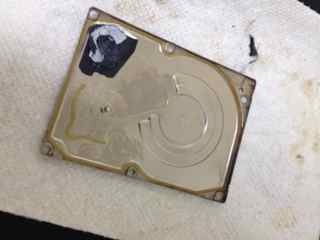 We could hardly even see the screws on the bottom cover. 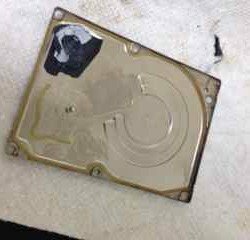 But, we were able to remove the drive and carefully clean it enough that it was accessible! 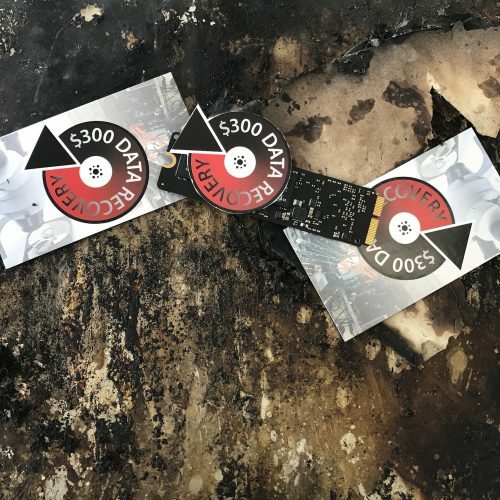 We recovered 100% of our customer’s data for $300. 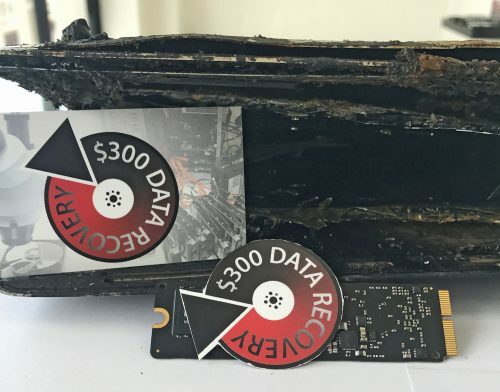 This hard drive was in a house fire. 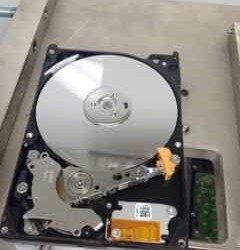 We were not super confident when this hard drive arrived, but we did have hope. 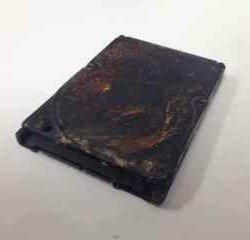 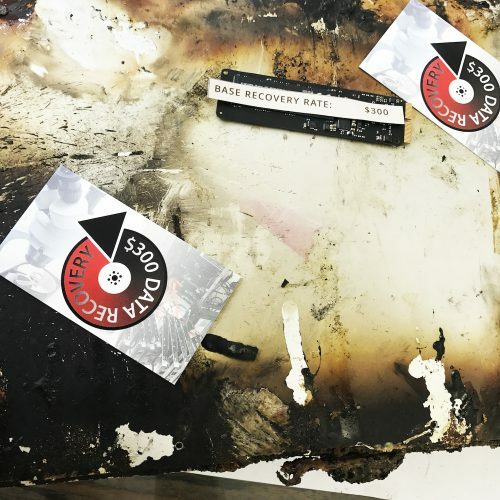 Fire damage data recovery is really dependent on whether or not the platters and ROM chip were affected by the heat and flames. 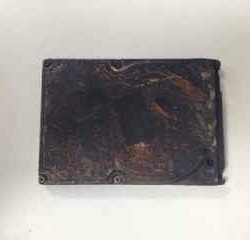 The cover was completely melted with no discernible text. 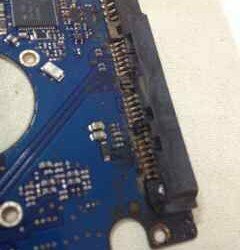 The PCB was burnt but we were able to clean it well enough to unsolder and read the unique information off the ROM chip. 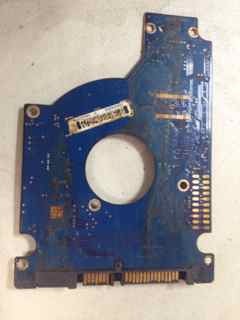 This information was then moved to a donor PCB. 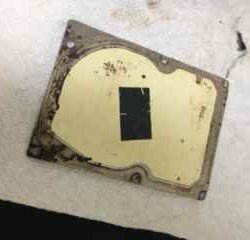 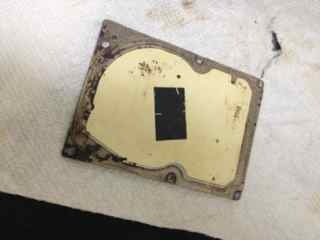 After being inspected in our clean room, the platters were found to be unscathed, despite the drive’s outer appearance. 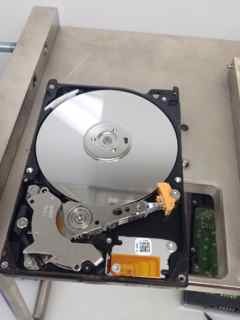 We cloned all but a few sectors on this hard drive and recovered all the data!